The selection of the Method Modules is dependent on the previously determined timeframe and the available budget. The individual Method Modules can be built on-top of or complementing one-another; resulting in a wide range of participatory-opportunities. For large participatory processes with a diverse range of stakeholders, Project Families can be established in which the relevant groups (negotiators) are represented. The individual members of the Project-Family each represent a specific interest group and take over a special responsibility within the family. Based on the findings obtained from the participatory process, the architecture will be sequentially designed and planned. Depending on requirements, the users will also be involved in this process through the use of games of negotiation developed by die Baupiloten. 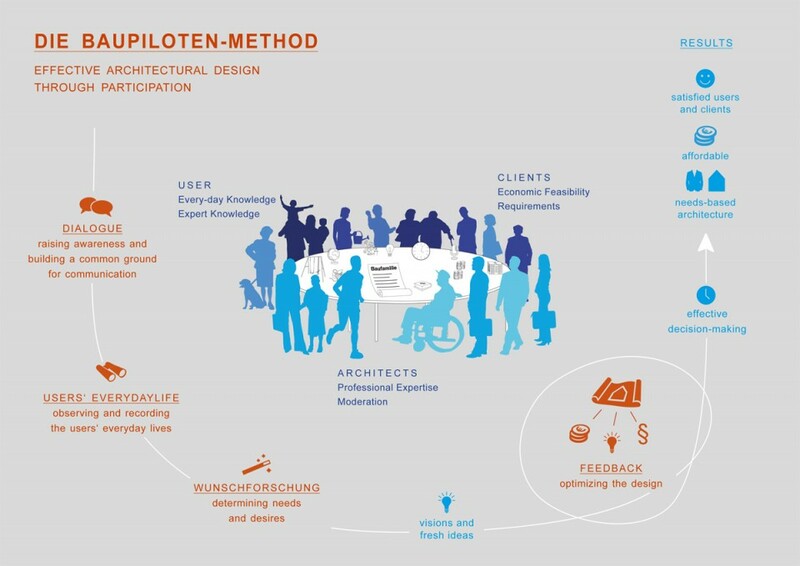 The Book ARCHITECTURE IS PARTICIPATION Die Baupiloten – Methods and Projects presents a wide range of opportunities for participatory processes – supplemented by realized projects by die Baupiloten and prepared as practical manual, open for the individual application. 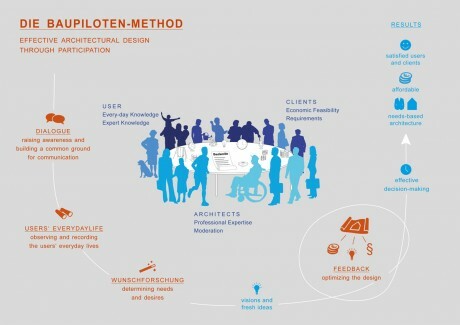 The film ARCHITECTURE IS PARTICIPATION depicts an exemplary workshop of the Baupiloten Method of Wunschforschung in action. Through this process, citizens have their say when it comes to shaping their built environment.